Discounts Available For A Limited Period. Get In Touch For More Info. Do you have the knowledge to utilise the transformative powers of Blockchain Business Models for your industry? 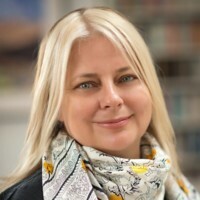 This Blockchain Executive Education Evening Programme, running for the second time, brings the world-renowned expertise of the UCL Centre for Blockchain Technologies (UCL CBT) to present some of the foremost thinkers in blockchain technologies globally to equip you with the INSIGHT, NETWORK and the TOOLs to guide your organisation on how to deal with disruptive blockchain technologies. 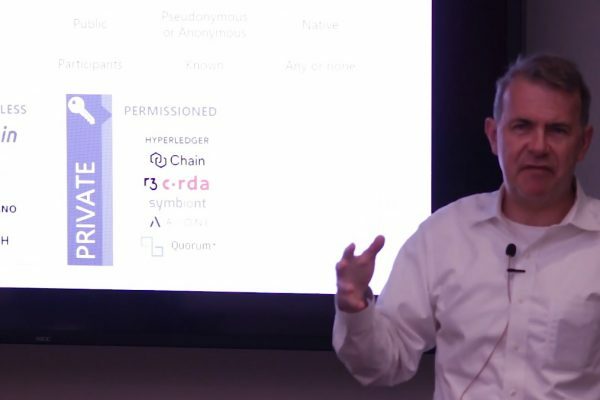 Before embarking on the in-person classroom experience, we present online material to help you build basic foundational knowledge to help you get the most out of your time with global blockchain thought leaders. 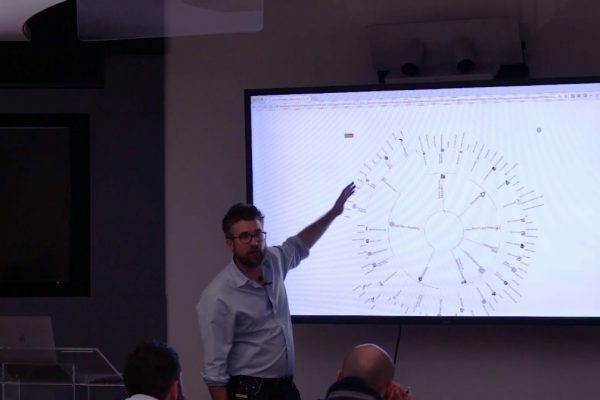 In the first part of this course, you learn about the underlying building blocks of what makes up a distributed ledger. How do distributed ledgers differ from existing technologies available? What are the benefits they bring? How many different distributed ledgers exist? How can we distinguish good ones from bad ones? In the second part of the course, we examine the economics of blockchains, business use-case models in different industries and socio-economic implications. We map out the different blockchain industry segments, study the dynamics of investments in blockchain-related businesses and the disruption created and the challenges and risks of adoption.​ We also look at how enterprise blockchains are evolving. We also examine the monetary and macroeconomics of cryptocurrencies and the use cases of smart contracts. We examine how the ICO, DAO and Token economies are evolving and where they fit in today’s world. In the final section, you learn about the legal and regulatory challenges faced with adopting blockchains and smart contracts, as well as the regulation of cryptocurrencies. In particular, we look at differences in the regulation of ICOs/DAOs and how security, debt, payment and utility tokens differ from a regulatory and legal perspective across different jurisdictions. We will examine the evolving nature of regulation in blockchain use and how blockchains can be used to streamline regulation and compliance (RegTech). With the support of real uses cases, you will learn how these technologies can be used for continuous auditing, AML/KYC verification, or automated tax filing. Equipped with an underlying framework of the technology, economics and legal aspects of blockchains, you will then look at real-world case studies of blockchains to discover how blockchains can be applied or not in your own industry and how transformative business models can be created. Learn from practitioners creating transformative business models and implementing enterprise blockchains to understand the challenges and opportunities out there. To give you a practical feel of what it means to work with blockchain technology we provide you with a coding workshop where you can learn to code simple DLT applications. You will be able to understand the structure and behaviour of simple Ethereum based Smart Contracts and the structure of a DApp. Our goal is not only to equip you with the knowledge to tackle disruptive blockchain technologies, but also to make the connections with practitioners and blockchain companies that you can collaborate with. We provide networking events where you can get to know your peers and lecturers and meet emerging blockchain companies and blockchain practitioners. Course participants on our programmes come from a variety of sectors and with diverse work experiences. 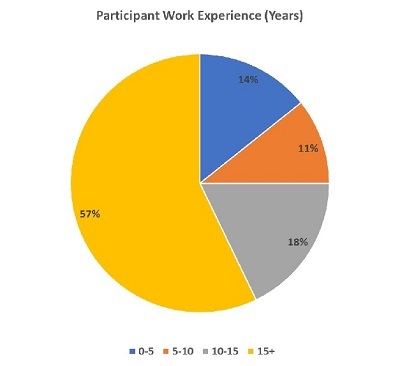 The median work experience of participants is greater than 15 years. 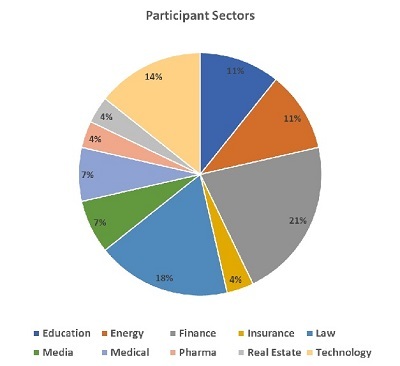 The following charts show the breakdown of participants based on their work experience and what sectors they have come from. This is the second edition of the UCL Blockchain Evening Programme and the third Executive Programme that UCL has run in all its various forms. Your experience on this course is important to us, and we have incorporated previous participant feedback in not only improving the course but updating content in line with how the DLT industry is evolving. 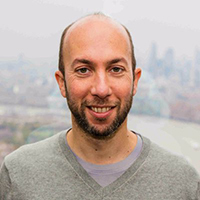 Dr Paolo Tasca is the Executive Director of the UCL CBT and a Digital Economist specialising in P2P financial systems. He is an advisor on blockchain technologies for different tech companies and international organisations including the EU Parliament and the United Nations and was Lead Economist on digital currencies and P2P financial systems at the Deutsche Bundesbank. 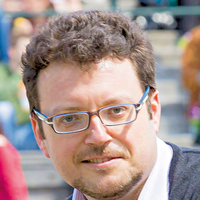 Prof. Tomaso Aste is Professor of complexity science at UCL. 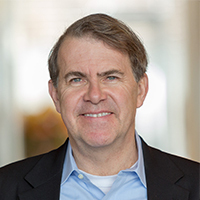 He has substantially contributed to research in financial systems modelling, complex data analytics and machine learning. He is passionate in the investigation of the effect of technologies on society, and currently, focuses on the application of Blockchain Technologies to domains beyond digital currencies. Dr Geoffrey Goodell is a research fellow at University College London. He has previously worked for Goldman Sachs and was Partner and Chief Investment Officer of Phase Capital, an asset management firm. His research is concerned with decentralised systems, digital currencies, institutions and regulation. 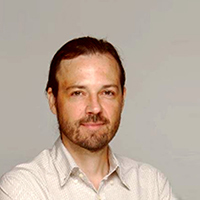 Dr Alastair Moore is a computer scientist with over 10 years’ experience in AI/ML, UX design, marketplaces, mobile, early-stage tech and blockchain innovation; he also founded UCL spin-out Satalia.com and venture-backed Wearepopup.com. As well as working for UCL, he also works with Mishcon de Reya implementing AI and Blockchain technologies in the legal world. Prof. Ioannis Lianos is an expert in competition law and policy. He holds the chair of global competition law and public policy at UCL and a Gutenberg Research chair at the Ecole Nationale d’Administration. 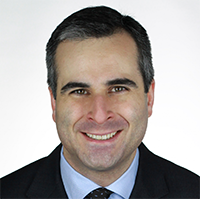 Professor Lianos has worked with the European Court of Justice, the European Commission and the Federal Trade Commission and has advised several governments and private parties in the areas of competition law and good governance. 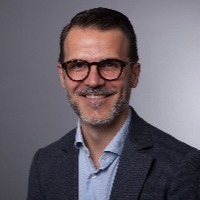 Prof. Claudio Tessone is an Assistant Professor at the University of Zurich and leads the University of Zurich Blockchain Centre. He is an expert in the modelling of economic, social and technical systems from a quantitative and interdisciplinary perspective. His research focuses on blockchain and Bitcoin, specifically in the economic and technical aspects of these ground-breaking technologies. 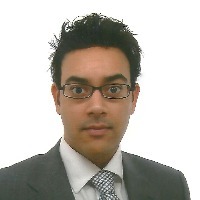 Mr Nikhil Vadgama is the Deputy Executive Director of the UCL CBT and he is a Lecturer in Financial Technology. His experience has spanned multiple sectors including Education, Real Estate and FinTech. Most recently he has been involved in commercialisation of academic research in the AI and Blockchain domains. He was previously an Investment Banker with HSBC. Nikhil has an MBA from INSEAD, an MPhys from Oxford University and has passed all three levels of the CFA programme. For this programme, we are currently confirming the line up of practitioners who will teach. Find out more about some the practitioners who have taught in our previous programmes. 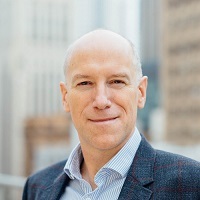 Mr Marcus Treacher is the SVP of Customer Success at Ripple. Marcus has over 30 years of experience in transaction banking and payment technology, including 12 years in global leadership roles at HSBC. He served as a member of the Global Board of SWIFT from 2010 to 2016. Prior to joining Ripple Marcus was HSBC’s Global Head of Payments Innovation, applying emerging fintech to solve customer challenges in digital payments, trade and supply chain. Prior to HSBC, he held leadership positions at Citigroup and Accenture. Marcus also works with industry communities, organizations and governments to help shape new payment practices. 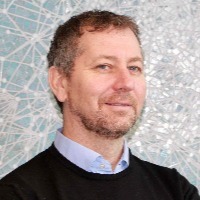 Mr Richard Brown is the CTO at R3 and is one of the world’s leading authorities on distributed ledger systems and architectures. Previously Richard was Executive Architect for Banking and Financial Markets industry innovation at IBM UK for whom he worked for almost fifteen years. Dr Pinar Emirdag leads the digital product development and innovation team at State Street. Pinar has worked on a number of industry changing initiatives, building new marketplaces and capital markets offerings throughout her career at London Stock Exchange, ICAP, Liquidnet, Citigroup and Lava Trading which was a successful financial technology firm which was acquired by Citigroup. She has worked on entrepreneurial initiatives as an executive, founder, advisor and board member. These include Clematis, Senahill Partners, R3, Hyperledger, Quantave, UK Digital Currency Association, Complymatic and Mathmoneyfx (now Symbiont). Mr Adi Ben-Ari is founder & CEO at Applied Blockchain. A London-based blockchain solution development company that has developed solutions for over 20 startups and corporates including Shell, Vodafone, KLM and SITA. 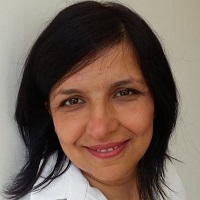 Adi has extensive experience in enterprise technology spanning almost two decades. He is a recognized expert in the blockchain field and presents frequently at conferences and industry forums. Dr Julio Faura is the CEO of Adhara, and former chairman of the Enterprise Ethereum Alliance, the chairman of Spain’s Alastria network, and a member of the board of the Wall Street Blockchain Alliance. He was previously the Head of R&D (Blockchain) at Santander and an Associate Principal at McKinsey. A passionate entrepreneur, he has founded internal startups and Joint Ventures, focusing on eCommerce, digital financial services, alternative (online) lending platforms and marketplaces, and mobile payments. Ms Valerie Khan has consulted the World Bank Identity for Development (ID4D) team with a focus on country case studies on identity structures and best practice examples. 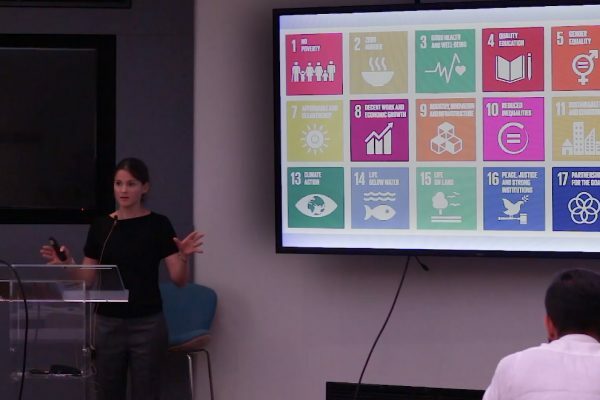 Previously, Valerie was establishing the identity agenda for the United Nations World Food Programme (WFP) in partnership with other UN agencies like UNHCR and the WB. 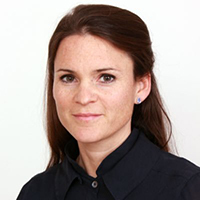 She has previously worked for over ten years in the banking sector and GE in Europe and Russia. Mr Antony Welfare is an expert in applications of blockchains to the retail sector. He is Global Practice Leader Blockchain at Luxoft. He has a lifetime of experience in retail and e-commerce, with an intimate knowledge of the sector from your local store to the global multinational retail giants. Following 20 years of hands-on experience in such household giants such as M&S, Sainsburys and Dixons, Antony is now pushing the boundaries of cutting-edge, retail tech previously at Oracle and now at Luxoft. Dr Daniel Heller is a fintech and digital currency expert. 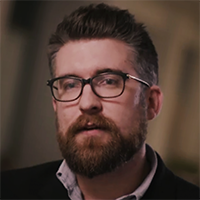 In 2017 he was a visiting fellow at the Peterson Institute for International Economics, and his research focused on the impact of emerging digital technologies, such as blockchain, on the financial sector. He has previously worked for the Swiss National Bank, the Bank for International Settlements, and the International Monetary Fund. 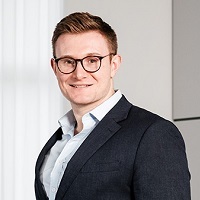 Mr Tom Grogan is a corporate lawyer and Co-Lead of the Blockchain Group at Mishcon de Reya. 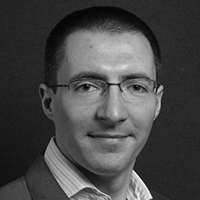 He has experience advising high-profile government clients on the formulation of their emerging technology policies including blockchain across a variety of sectors. He regularly advises and provides educational sessions to innovative corporates and forward-thinking governments on their digital strategies, policies and legal and regulatory frameworks. He also supports Mishcon de Reya’s Tokenised Assets Group on their security offerings by way of ICO/STO, tokenomics and OTC trades. Dr Maria Grazia Vigliotti is an expert in cybersecurity and smart contracts. She has held numerous roles in consulting for the cybersecurity industry. She is also a Director of Gradbase, who are placing academic and professional credentials on the bitcoin blockchain. She holds a PhD in Computer Science from Imperial College. 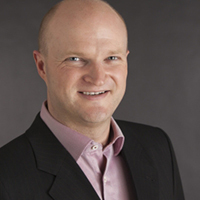 Mr Peter Todd is an Applied Cryptography Consultant and a core developer for the Bitcoin protocol. 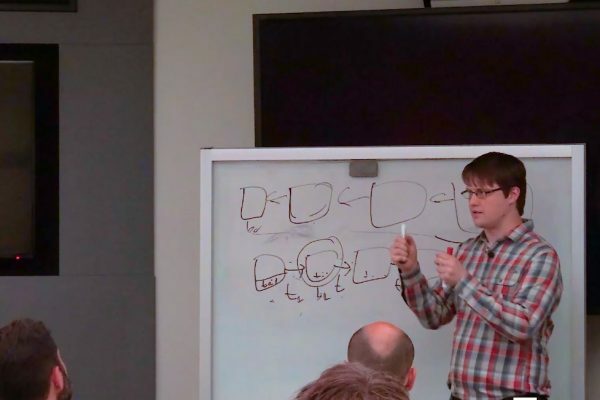 He has worked on prooftrains and treechains, with permissionless development, decentralized mining, and scalability. 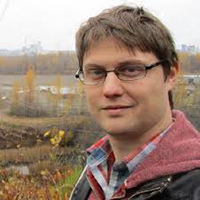 He is the maintainer of the python-bitcoinlib and OpenTimestamps projects. He has worked with numerous blockchain companies including, Coinkite, Dark Wallet and MasterCoin. 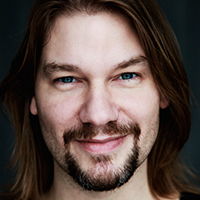 Mr Henning Diedrich is the founder and CEO of the Lexon Foundation. 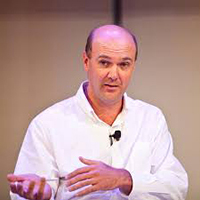 He was the first architect of Hyperledger at IBM and served as a Director for blockchain at the Boston Consulting Group, Digital Ventures. Henning also lead the technical architecting of DeBeer’s blockchain supply chain solution for the diamond industry with data protection. And he fixed the early Ethereum clients that were used for the post-cloud, distributed IBM analysis platform Blue Horizon. Mishcon de Reya is an independent law firm. This is why we have chosen to sponsor the UCL Blockchain Executive Education Evening Programme. We understand that the world is changing for us and for our clients. In order to service them with the best advice, we need to be at the forefront of new technologies. Our Blockchain Group is comprised of lawyers, computer scientists, cyber security experts, developers and academics and is well placed to advise on and assist with the legal, regulatory, technical and strategic implementation of blockchain solutions within your business. As with many emerging technologies it is tempting to overestimate the short-term benefits, while failing to predict the long-term gains. These technologies will not change the world overnight but their impact will be very real. Mishcon continue to work with innovative governments and forward-thinking corporates to develop forward-looking technology strategies. These strategies place blockchain solutions alongside artificial intelligence, data analytics and internet of things technology as a central pillar of their future growth and positioning. This course costs £4500. Discounts are available based on the time of purchase and number of seats. Get in touch about discounted prices. If you are interested in purchasing multiple seats, are a UCL Alumni or a partner of the UCL CBT, please get in touch about special pricing. After registering, you will receive an option to either pay via PayPal or be invoiced.